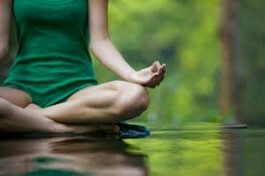 Yoga is a rewarding experience and offers countless physical and mental benefits. Attending your first yoga class at Douglas Yoga Centre could be a life changing experience for you. From increased strength and flexibility to stress relief and improved mindfulness, you are sure to walk away with something positive. If you are new to yoga, the most important thing to remember going into your first class is that yoga is all about you – it’s your practice and nobody else’s. Don’t hesitate to rest during yoga class if you start to get overly tired or uncomfortable. Yoga should not be forced, so don’t feel that you need to do every pose. Wear comfortable clothing that allows for a wide range of motion in your legs and arms. Hydrate well before and after your class. Minimise water consumption during the class. Bring a yoga mat if you have one. If you don’t you may use one of the studio mats. We encourage all students to invest in their own yoga mat for hygiene purposes. Practice barefoot to avoid slipping and ensure optimal balance and alignment. Turn off your mobile phone prior to the start of class. Before class starts, be sure to inform the teacher that this is your first class. If your teacher is aware that you are new to yoga, he or she will be able to provide you special attention to guide you through the practice. Also, let your teacher know if you have any injuries. He or she will be able to offer pose modifications if a certain pose will aggravate your injury. The studio offers props such as blocks, straps, and blankets to aid students with their practice. Class will typically start at a slow pace with some meditation, breathing practice or relaxation to centre and clear your mind before you begin your practice. The class will then move through various asanas, or poses. Class will end with savasana, or corpse pose, where you will lie on your back with eyes closed and enter a state of relaxation following your yoga practice. Your teacher may like to make adjustments to their students’ poses during yoga class. This simply means that a teacher will ask your permission to make an adjustment and upon your consent, will manually correct whatever aspect of your pose he or she feels can be improved. If you are not comfortable with this, it is completely acceptable not to give permission to be adjusted.